Daniel Rugayamukama was notorious for hunting down every Tutsi . Whenever he grabbed victims, he would cut them and remove their hearts, roast them and eat them – this ritual was believed to protect him from future revenge by victims spirits. Residents of Nyarubuye sector in Kirehe district nicknamed him ‘Simba‘- a swahili word meaning a Lion. Simba was so cruel that he spared no Tutsi in his sight within the village. He captured his victims, beat them and sliced them to specifically remove their hearts which he would roast from a barbeque fire. However, when the Rwanda Patriotic Army rebels advanced to liberate Nyarubuye hill to save lives, Rugayamukama and many militia fled to Tanzania. When the country was entirely liberated, Rugayamukama returned to Rwanda after facing hardships in exile but feared to set his foot in his native village again. 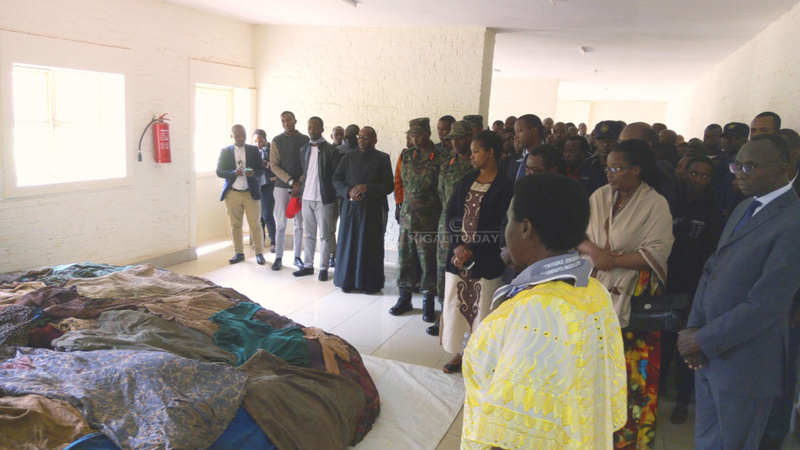 “When he returned to Rwanda at a village close to Nyarubuye hill, he decided to commit suicide,” said Florentine Nyirakamana, CNLG officer in charge of Nyarubuye Memorial Site. On April 18th-19th when killing spree of Tutsi was at its peak in all parts of the country, Simba was one of Interahamwe militia that attacked thousands of Tutsi that had sought refuge in a nunnery at Nyarubuye Catholic Church. 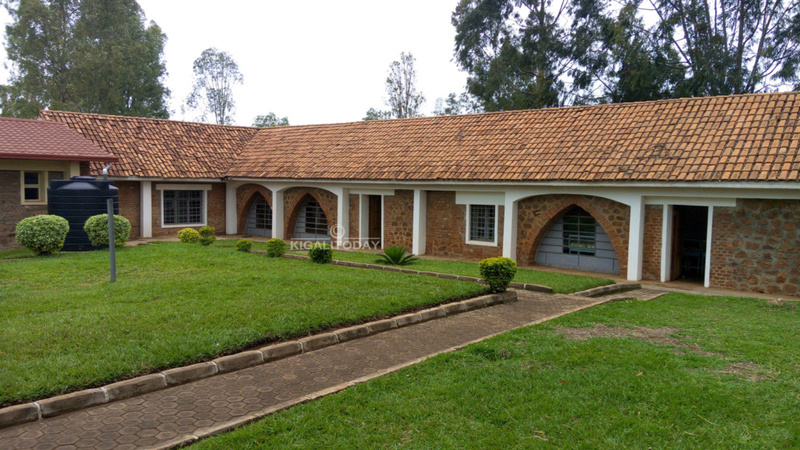 The nunnery currently a Genocide memorial site, today still shelters thousands of victims remains, their clothes and crude weapons used to decimate all Tutsis from Nyarubuye and surrounding areas. Apart from this cannibal man, other militiamen seized victims and sliced them like cabbage on tree trunks to pour their blood in wooden containers to see if their blood resembles to other human beings, said Nyirakamana. 35,000 Tutsis were murdered in a cold-blood. Nyarubuye Memorial site is home to 58,524 human remains decently buried including human bodies came from neighbouring areas. Thousands of residents from Kirehe District and government officials on April 8th converged to Nyarubuye Parish to commemorate the Genocide against Tutsis in 1994. 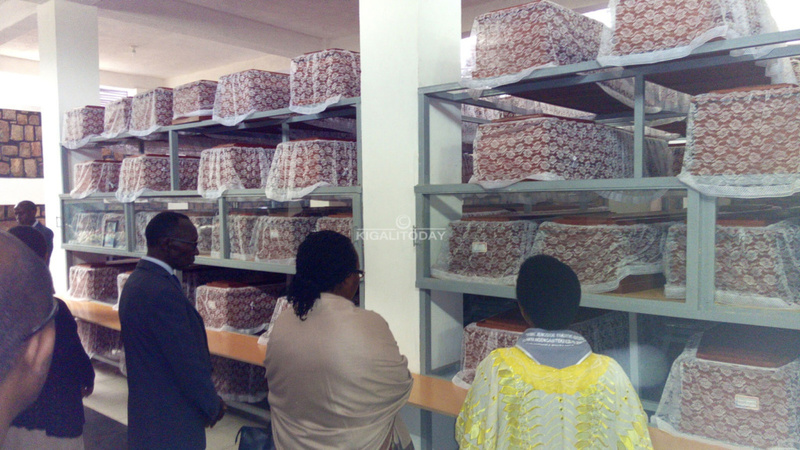 The Chief Justice, Prof. Sam Rugege together with Minister for Agriculture, Dr. Geraldine Mukeshimana and other dignitaries were taken through different rooms containing piles of clothes, killing tools as well as two parts of memorial centre in which bodies of victims were decently buried. “Look, you know this is the trendy T-shirt dubbed “Five buttons” at that time wearing by well to do women,” said Nyirakamana pointing her finger while Minister Mukeshimana stared at it in a great shock #Kwibuka23. After laying wreaths at the memorial site, Prof. Rugege told residents to distance themselves away from Genocide perpetrators who are still thirsty to sink back the country into the Genocide. “Divisive politics led to this loss of human beings, the lesson we can draw from this is not to listen to anyone who wants to bring back the Genocide, we have to fight them at all costs,” stressed Prof. Rugege. Mukanoheli Theoneste, a survivor said that more than 20 years after Genocide was halted, some people manifested in words harbouring genocide ideology but fortunately were arrested and brought to book. “Some survivors have not yet been compensated for their properties looted in the Genocide against Tutsi. As for me, I exonerated those who found guilty of plundering my belongings because they came to me asked me for forgiveness,” added Mukanoheli.